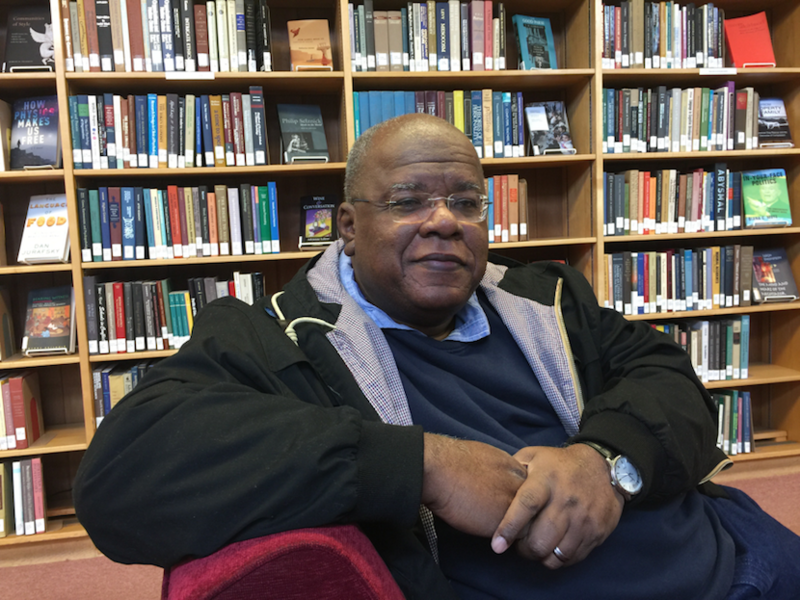 PALO ALTO, CA: Jonathan Jansen was in a sombre mood when we met on a fresh January morning at Stanford University’s Centre for Advanced Study in Behavioural Sciences. Jansen is a fellow at the prestigious institute nestled among the pines and eucalyptuses in the Santa Cruz foothills that overlook the campus. A prolific and fast writer, Jansen is completing three books during his sojourn in California. His writing cottage opens onto a planked deck where, between the trees, there’s a magnificent view of Palo Alto and San Francisco Bay. Tranquility is interrupted only by occasional conversations with other scholars who abide by the institute’s sole requirement that they show up daily for lunch. The former vice-chancellor of the University of the Free State has no time for what he calls the small group of anarchists who led the #RhodesMustFall campaign. Their misguided protest, he says, gained traction because of the liberal appeasement and white guilt that is pervasive among many UCT faculty. Their ambivalence about allowing police on campus to restore order and respect the rights of the majority, he says, put Vice-chancellor Max Price in an untenable situation. UCT is Africa’s oldest, most prestigious university. As readers of his newspaper columns know full well, Jansen is fiercely critical of the lack of standards in SA’s largely dysfunctional primary and secondary government schools. Students who do matriculate, he complains, often lack analytical skills and are ill prepared for university study. This deficit is reflected in their high drop out rate from universities. The biggest culprit, Jansen argues, was the apartheid government’s closure of mission schools, a consequence of the 1953 Bantu Education Act that downgraded African schools, putting the professions off limits and educating the majority only for menial tasks. Zimbabwe stands above SA in basic education – particularly in science and maths, he says, because its mission schools remained open throughout the years of anti-colonial struggle. 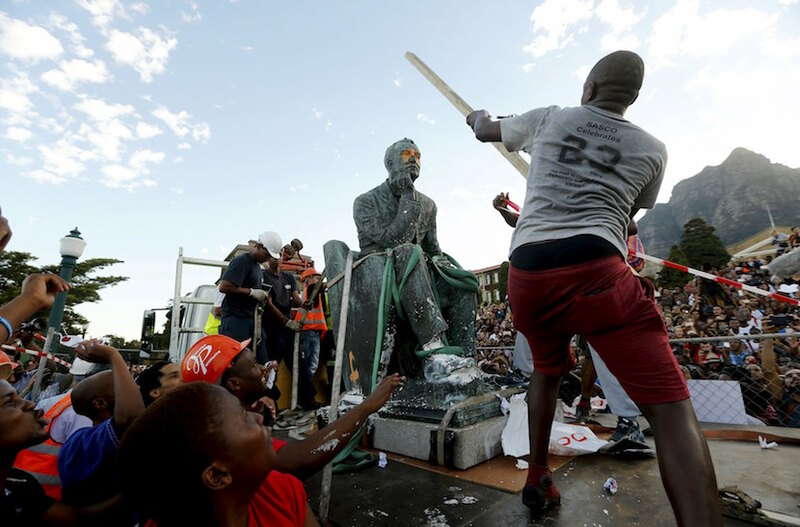 Jansen believes the #RhodesMustFall campaign began with good intentions before descending into anarchy and violence. Most students and staff were intimated and retreated into silence. Lacking an analytical foundation, when challenged the instigators fell back on anger as legitimate demands became a violent insistence on decolonisation. An activist in the anti-apartheid struggle and conversant with the 1950s Marxist rhetoric of Frantz Fanon, Jansen dismisses the suggestion that Fanon’s teachings on violence have relevance in today’s SA. The protestors, he says, are misusing Fanon’s language of decolonisation. Today’s students, he fears, are not being prepared for a globalised world and the old analytics of us versus them no longer apply. Jansen worries about a growing mood of intolerance within SA. He sees the Zuma government as impotent in the face of a violent minority of student protestors. But he concedes that by gradually reducing university funding it hastens the demise of higher education. The books Jansen is preparing at Stanford include As By Fire, a study of the student protest movement and how it contributes to the end of the SA university. A second book, Making Love in a War Zone concerns interracial intimacy in the conservative Free State, and the third is about the Western Cape where he grew up. It is a counter-narrative to the literary images of mothers in the Cape Flats as vulgar, vain and victims. Asked about the future of Afrikaans, Jansen says its inescapable association with apartheid renders it unacceptable to most blacks. It is only a matter of time, he says, before it is abandoned as a language of instruction at Stellenbosch University. Jansen’s future is unclear although he plans to return to SA. 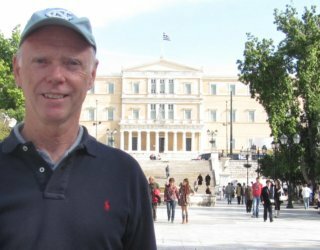 Last August, after seven years on the job, he resigned from University of the Free State. Barry Wood, who started his career at the Financial Mail in Johannesburg under the legendary George Palmer, is among the most respected financial journalists in his native USA. Based in Washington, after two decades as the chief economics correspondent at the Voice of America, he now contributes regularly to mainstream outlets USA Today and Marketwatch.com – but retains an interest in the land where he started. Access more of his work at econbarry.com.